Teaching with felt is an excellent visual aid for shaping young minds. Felt sticks to felt without the need for glue or other adhesives. This allows children to move the pieces freely for hours of fun-filled learning and creative play! 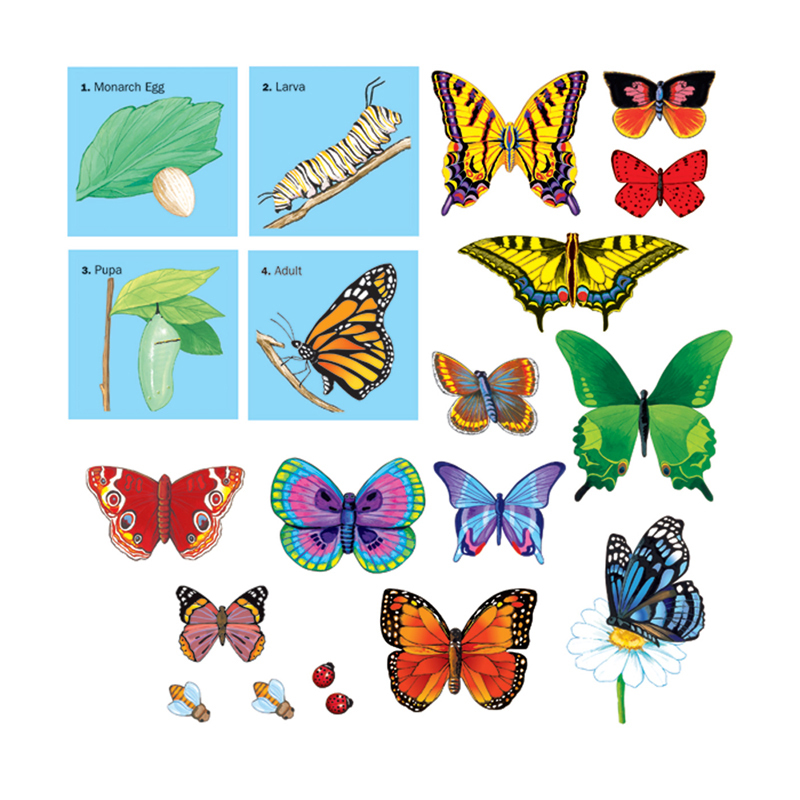 The vivid colors of butterflies, bees and ladybugs let your imagination soar as you discover the life cycle of butterflies. 20 pieces: 2 bees, 12 butterflies, 2 ladybugs and 4 life cycle squares. Striking felt pictures offer interactive fun. Made in the USA. Machine washable and non-toxic.